No point in keeping those old family stories hidden away on your desktop computer. Create a series of "short subject" video clips, adding still images to expand on interviews with family members. Clips are hosted free on YouTube, and can be embedded in your family blog. Where do you turn when you can't find your Irish ancestors in civil registration, church records or what few censuses survive? Experienced researchers dive right in to the Irish estate records. There is a surprising array of material in estate records that can be used to document the tenants who lived on the estates that covered rural Ireland. In this webinar you will learn how to identify the estate where your ancestor lived, repositories where estate records might be found, and what types of records were kept. Join us for the live webinar on Wednesday, October 31, 2012 at 2pm Eastern U.S. Register today to reserve your virtual seat. Registration is free but space is limited to the first 1,000 people to join that day. Before joining, please visit www.java.com to ensure you have the latest version of Java which our webinar software requires. When you join, if you receive a message that the webinar is full, you know we've reached the 1,000 limit, so we invite you to view the recording which should be published to the webinar archives within an hour or two of the event's conclusion. Judith Eccles Wight graduated from Brigham Young University. She is an AG (Accredited Genealogist researcher) specializing in Irish and Scottish research. From 1990-2001 she worked as a British Reference Consultant at the Family History Library. She is a published author in many genealogical periodicals and is a popular genealogical lecturer and teacher. She is founder, past president and forever board member of Ulster Project-Utah, an ecumenical peacemaking organization that brings Catholic and Protestant teens from Northern Ireland to various established centers in the U.S. The Three Cs of Irish Research: Civil Registration, Church Records, and Census webinar-on-CD. We hope you can join us for the following free webinars, part of the ongoing APG Professional Development webinar series sponsored by the Association of Professional Genealogists. Please feel free to share this invitation on relevant mailing lists, with your local society, or with anyone else who might have an interest. Please note, this post has been updated to reflect a change in time for the first webinar. DNA Explained has been rescheduled for Tuesday 27 November 2012 due to the pending widespread impact of Hurricane Sandy. Join us to learn how DNA can be used for genealogical research. You’ll learn about how DNA testing works for both males and females, including an introduction to Y-DNA, mtDNA, and autosomal DNA. We’ll make science understandable, and by the end of this lecture, you’ll be putting together your own genealogical DNA test plan. Have a pedigree chart handy for quick reference. (2) Yikes, My DNA Results are Back! Now What??? Have results but aren’t sure what to do with them? This webinar will walk you through how to interpret your results and get the most out them. This presentation covers both Y-line and mitochondrial DNA. Autosomal DNA results will also be discussed in a future webinar. Roberta Estes has been a professional scientist and business owner in the information technology arena for 25+ years, (BS Computer Science, MBA, graduate work in Geographic Information Systems), as well as an obsessed genealogist since 1978. Roberta speaks publicly on the topic of DNA and genealogy and has been interviewed by the New York Times for multiple publications, appearing on Voice of America, National Public Radio, ABC News, as well as in other national and international radio, television and news publications and conferences. Roberta’s genealogy specialty is southern colonial records, focused primarily in Virginia, Tennessee and NC. Minority records, reflecting her mixed heritage are of particular interest, specifically Native Americans, slaves, and other indentured individuals. Her “colorful” family history has allowed Roberta to participate in every aspect of DNA testing for genealogy, revealing unexpected surprises. Roberta manages over 20 surname projects and is the founder of the Lost Colony DNA research projects. Her regional Cumberland Gap Y-line and mitochondrial DNA projects have several thousand participants and are the largest projects of their type in the word. She also co-administers the American Indian project and serves in an advisory capacity for the Melungeon project and other groups. You can find Roberta blogging online at www.dna-explained.com and www.nativeheritageproject.com. The recording of today's terrific webinar, Your Civil War Ancestors: Beginning Your Research, by Michael Hait, is now available to view in our webinar archives. As Michael stated, the records of the Civil War are indeed the greatest record collection for U.S. genealogists! If you could not make it to the live event or just want to watch it again, the 1 hour 33 minute recording of Your Civil War Ancestors: Beginning Your Research is now available to view in our webinar archives for a limited time. Visit www.LegacyFamilyTree.com/webinars.asp to watch. Own your own copy of Your Civil War Ancestors: Beginning Your Research by purchasing the webinar-on-CD for just $9.95. It includes the complete 1 hour 33 minute recording of the class, and 3 pages of handouts. Click here for more information or to purchase. Michael's book, Online State Resources for Genealogy (784) pages is available here for just $15.99. The special discount coupon of war that was announced during the webinar is valid for 10% off anything in our online store through Monday, October 29, 2012. 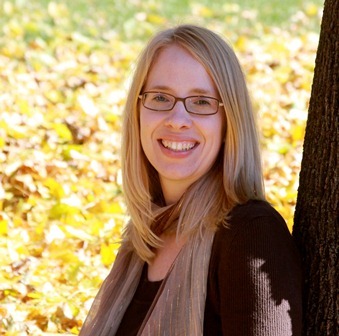 Researching Your Canadian Ancestors - an Overview with Claire Brisson-Banks. November 7. 10 Ideas for Great Gifts Using Your Family Photos with Thomas MacEntee and Diane Miller. November 30. Researching Your Irish Ancestors: Beyond the Basics with Judy Wight. December 5. Learn how to identify your U.S. Civil War ancestors and what information can be found in the Civil War records in a free webinar by returning webinar speaker and board-certified genealogist, Michael Hait. This is one of my (Geoff's) favorite topics, and Civil War records are one of the greatest resources in America. Join us for the live webinar on Wednesday, October 24, 2012 at 2pm Eastern U.S. Register today to reserve your virtual seat. Registration is free but space is limited to the first 1,000 people to join that day. Before joining, please visit www.java.com to ensure you have the latest version of Java which our webinar software requires. When you join, if you receive a message that the webinar is full, you know we've reached the 1,000 limit, so we invite you to view the recording which should be published to the webinar archives within an hour or two of the event's conclusion. Michael Hait, a board-certified genealogist, has over ten years of research experience on families from Connecticut to South Carolina to Tennessee. He serves as the vice-president of the National Capital Area chapter of the Association of Professional Genealogists. He is the author of The Family History Research Toolkit and the brand new Online State Resources for Genealogy. He is also the author and instructor for the "Research: African-American Ancestors" course at the National Institute of Genealogical Studies and the coordinator of the resource library for Lowcountry Africana. Visit his website at www.haitfamilyresearch.com. The recording of today's excellent webinar, Ten Brick Wall Tips for Intermediate Researchers, by Marian Pierre-Louis, is now available to view in our webinar archives. Coupled with her earlier Ten Brick Wall Tips for Beginners I expect many of your brick walls to come dumbling down. Please let us know your stories! If you could not make it to the live event or just want to watch it again, the 1 hour 30 minute recording of Ten Brick Wall Tips for Intermediate Researchers is now available to view in our webinar archives for a limited time. Visit www.LegacyFamilyTree.com/webinars.asp to watch. Own your own copy of Ten Brick Wall Tips for Intermediate Researchers by purchasing the webinar-on-CD for just $9.95. It includes the complete 1 hour 30 minute recording of the class, the question/answer session, and 2 pages of handouts. Click here for more information or to purchase. Or purchase the Brick Walls 4-CD Bundle here. The special discount coupon of brick2 that was announced during the webinar is valid for 10% off anything in our online store through Monday, October 22, 2012. On Tuesday, November 13, at 8 PM Central, George G. Morgan, will present, Sidestep Genealogy, designed to help you identify alternative paths to take in your research and hopefully break down those brick walls. To attend this webinar, register at https://www3.gotomeeting.com/register/559302166. Last week's webinar, Jumping Over Hurdles in German Research, presented by Leslie Albrecht Huber, is now available to ISGS members in the Members Section of the ISGS website (http://ilgensoc.org/members.php). And don't forget to spread the word by printing out a few copies of our webinar flyer to hand out at your local society meetings. The flyer can be accessed at http://ilgensoc.org/upload/menu/2012webinarbrochure.pdf. To attend the presentation, visit http://www.virtual.ugagenealogy.org on the date and time of the meeting, click on the UGA logo. Enter the presentation as a guest. Women ancestors can be difficult to trace--but not impossible. How do you research female ancestors and how is that research different than searching for male ancestors? Sources discussed go beyond sparse government papers, and into libraries, archives, manuscript collections, and female specific resources. We are pleased to announce that the LIVE meeting is be open to the public! Share, tweet & spread the word! This meeting will be recorded and placed in the members area of the website (http://www.ugagenealogy.org) where current members have access to all of the past meetings! The Utah Genealogical Association is pleased to present a monthly "Virtual Chapter" meeting in which invited guests make presentations on topics of current interest in the field of family history and genealogy. Earlier this year Marian Pierre-Louis gave us Ten Brick Wall Tips for Beginners. Now she's back with Ten Intermediate Brick Wall Tips. This next set of tips will stretch your research even further. Marian will demonstrate ways to analyze your research, tweak your methodology and encourage you to look for records off the beaten path. Sign up for this webinar and watch your brick walls start to come tumbling down. Join us for the live webinar on Wednesday, October 17, 2012 at 2pm Eastern U.S. Register today to reserve your virtual seat. Registration is free but space is limited to the first 1,000 people to join that day. Before joining, please visit www.java.com to ensure you have the latest version of Java which our webinar software requires. When you join, if you receive a message that the webinar is full, you know we've reached the 1,000 limit, so we invite you to view the recording which should be published to the webinar archives within an hour or two of the event's conclusion. Marian Pierre-Louis is a genealogical writer and speaker who specializes in southern New England research (Connecticut, Rhode Island, and Massachusetts). Born and raised in Connecticut, she has lived in Massachusetts for almost 20 years. Marian has three generations of recent family ties to Rhode Island and also links to some very old Rhode Island lines. As a result, these three states have become the focus of her research activity. Unlike most genealogists, Marian is spoiled to spend most of her time working with original records. You will most often find her researching at a town hall, registry of deeds, probate court or the local cemetery. It’s a rare day that Marian has to sit in front of a microfilm reader. Marian is actively engaged in social media. You can find her starting conversations on Facebook, Twitter and Google+. She frequently speaks on New England topics including house history research, social media, African American research and a broad range of genealogical topics. She is the author of several blogs including: Marian's Roots & Rambles, and The New England House Historian. She is the host of Fieldstone Common Radio. Her website is www.FieldstoneHistoricResearch.com. With over a million apps out there, how about digging into tree apps, organization tools, shortcuts, and tricks from a genealogist's point of view using an iPad and iPhone. Includes the best strategies for reading NGS & FGS digital conference handouts. 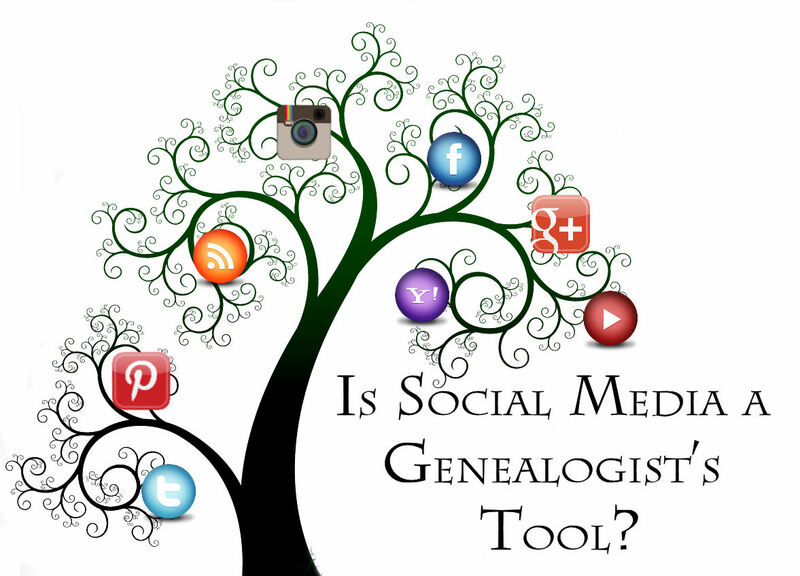 TONIGHT: Is Social Media a Genealogist's Tool? 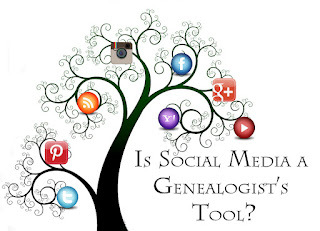 My daughter Carrie Keele will join Ol' Myrt here tonight to co-present the "Is Social Media a Genealogist's Tool? Webinar. Newbies can be assured these DearMYRTLE Workshop Webinars are open, relaxed, and just plain fun! We learn by sharing. The Webinar will be presented by James Tanner. The Friends of the National Archives-Southeast Region, Inc., are please to sponsor the presentation " Doing the Dawes: Locating Ancestors on the Final Rolls of the Five Civilized Tribes" with Kathy Huber, on October 8th, 2012. Summary: Discussion of the records created by the Dawes Commission, particularly those helpful to family historians. Presenter: Kathy Huber, MLS , is the head of the genealogy collection for the Tulsa City-County Library. She completed the NGS Home Study Course, attended IGHR in 1995 and attended NIGR in 1998. Kathy arranges a variety of educational programming throughout the year focusing on the library’s collection and regional records. After registering you will receive a confirmation email containing information about joining the Webinar. You will use your unique URL in your confirmation email to logon to the live broadcast on the 8th of October. Please note: There is no limit to the number registering for this webinar, but attendance is limited to 100 attendees (the first 100 to sign in to the event will be able to view the live webinar). The webinar will be recorded and placed on the “Members Only” pages of the Friends website. Christy Downing, our cruise coordinator, also answered lots of questions in the Q/A session about the upcoming cruise. To view the webinar, visit www.LegacyFamilyTree.com/webinars.asp. 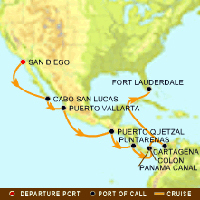 For more information, visit http://www.legacyfamilytree.com/CruiseInfo_2013.asp, send Christy an email, or give her a call at 1-888-505-6997. In honor of German-American Day, which is observed annually in the United States on October 6, we will have Leslie Albrecht Huber present Jumping Over Hurdles in German Research for our October webinar. Even though the focus is on German genealogy research, many of the concepts could be applied to other ethnic groups. Description: Has your German research run into a hurdle? Find out how to jump over some of the most common hurdles such as immigration, access to records, language, and handwriting. Leslie Albrecht Huber is a genealogy freelance writer and speaker who specializes in German research and in writing family histories. She has published over 100 articles in a variety of publications including The History Channel Magazine, Family Chronicle, History Magazine, Family Tree Magazine. 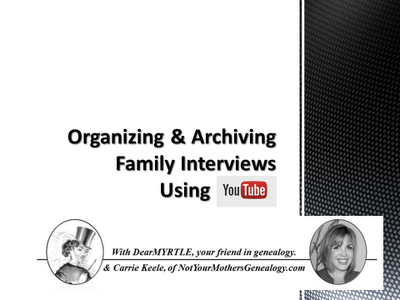 She has spoken about genealogy research on Good Morning America, National Public Radio, and at libraries, museums, and conferences across the country. For ISGS members who cannot attend on October 9th, a recording of the webinar, along with the syllabus, will be made available in the Members Section of the ISGS website at http://www.ilgensoc.org. If you're not already a member of ISGS, visit Join ISGS! for more information. Thanks for the genealogy resources. And for changing my view on the issue of privacy. I thought our privacy issues had changed with all the availability of data, not just on the internet, but other public records. In truth, with the advent of Facebook and Twitter, we are putting our OWN lives on record every day! And public records have always been public -- that hasn't changed. I'm less worried about my own privacy now and have more resources to find my ancestors' public lives. Thanks! 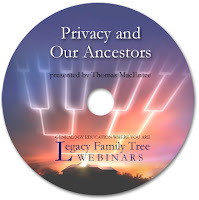 If you could not make it to the live event or just want to watch it again, the 1 hour 25 minute recording ofPrivacy and Our Ancestors is now available to view in our webinar archives for a limited time. Visit www.LegacyFamilyTree.com/webinars.asp to watch. Own your own copy of Privacy and Our Ancestors by purchasing the webinar-on-CD for just $9.95. It includes the complete 1 hour 25 minute recording of the class, the question/answer session, and 3 pages of handouts. Click here for more information or to purchase. Click here to browse all of Thomas MacEntee's webinar CDs. The special discount coupon of privacy that was announced during the webinar is valid for 10% off anything in our online store through Monday, October 8, 2012. Cruising with Legacy Family Tree in 2013. October 5.